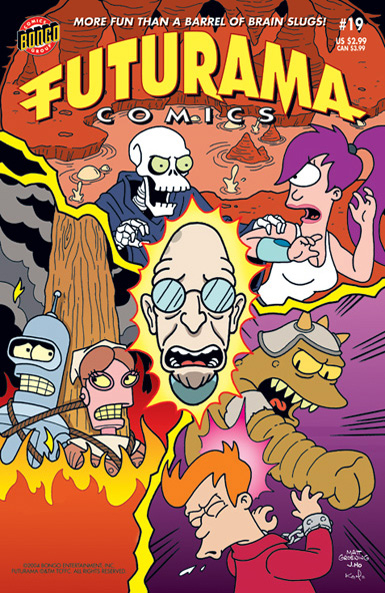 Fry is caught in the midst of an interplanetary war, Leela has angered the gods in Ancient Greece, Bender is on trial in Salem, Massachusetts, and the Planet Express crew along with Earth’s entire population have been transported back to the Age of Dinosaurs. Will the world ever get back to normal, or is everyone totally boned? Find out in the exciting, time-bending conclusion of Bongo’s biggest and best ever “thrill”-ogy!